Who's as hot as they come this fall? Who's in absolute freefall? Here's our take after the last month of tennis. We call it the Blacklabel Tennis Power Rankings, enjoy. The man is still the man. A back injury may have truncated his planned fall campaign, it may lessen his credentials in the "best season ever" discussion; but yeah, ho hum, who cares? The Serbian superstar, aka Robo-Nole, is still the man to beat whenever he takes the court. In part, because he's got that locker room intimidation factor that's worth a nervous break even if his game isn't completely firing. He doesn't even need to show up the rest of 2011 to be the favorite in Australia. Then again, there's nowhere to go from here, but down. Well, at least, Nadal, Murray, Federer and err, every other man playing ATP level tennis hope that's the case. Rafa's magic deserted him, Robo-Nole was briefly shut down to repair some structural errors, the Fed Express went into dry dock for a month and a half, and suddenly everything was coming up Murray. Andy Murray won Tokyo and the Shanghai Masters to stamp himself the early pick for the (not quite) Legend of the Fall. The good news is that he beat all comers including Nadal to earn his place atop the autumnal leaderboard. The bad news is that in recent years, the guys who rule the fall (Nalbandian, Davydenko, Federer 2010) tend to be relegated to owning the second tier when everybody's back to full strength. Either way, when we might otherwise be writing him off, Murray has instead cemented himself as a key, if underachieving by comparison, member of the ATP's big four. What's next? Well, that's a mystery if I've ever seen one. It's been a looooong time since a player has cracked the rare air of consistent slam contenders. Serena Williams, Justine Henin, Kim Clijsters, Maria Sharapova, then a long drought before we add the name Petra Kvitova. Yes, it's admittedly early days, but Kvitova's success this year has fairly strong echoes of Maria Sharapova's breakout 2004 season. She also has a chance to one-up Sharapova's 2004 if she and her Czech teammates can win the Fed Cup final over a Maria-less Russian squad next week. Look, all the statistics in the world cannot predict the future; there are too many variables that cannot be controlled. However, there's a familiar arc to Kvitova's progression and unlike some of the other women who've won majors recently. She's both young and talented enough to build on her success going forward. So is this, the annual autumnal swoon for El Rafa, or the first signs of a worrying downward spiral for the ex No. 1? Nadal lost another final from a set to the good against Andy Murray in Tokyo and those are the kinds of matches (finals, with a one set lead, playing Andy Murray) that we're just accustomed to the Spaniard winning...with ease. First Djokovic, then Murray, then the Shanghai result we won't discuss. It's been a tough fall in more ways than one. He's pulled out of the Paris Masters to focus on the ATP World Tour Final (ATP WTF) and ostensibly, the Davis Cup final which will be on his beloved red clay in Seville. After a year of being thwarted by Robo-Nole, it's understandably time for a Rafa reboot. Suddenly, if not surprisingly, No. 3 in the world, it seems to be Victoria Azarenka's time to make her mark on the WTA Tour. She had an unfortunate draw at the US Open (l. to Serena Williams, 3rd rd), but played relatively strong ball this fall including a title at Luxembourg and a maiden appearance in the WTA YEC final (l. to Kvitova). If the old guard continues to show up sporadically and otherwise fade from view, Azarenka is certainly among the best bets to supplant them. She has titles this year on clay, hardcourts and indoors (plus a semifinal on the grass of Wimbledon to boot). Her game has the requisite power to compete at the highest level and her tremulous grunt is already among the very best in the world. If she can stay healthy (Azarenka is unfortunately known as much for her talent as her penchant for pulling the rip-cord mid-match due to injuries) there should be big, big things coming from the bella Belarussian. Let's be for real, the Fed Express needs to win something, anything, anywhere and soon to silence the doubters. He's banked just one title this year (Doha in January), and frankly there's not a ton of daylight (just 885 points) in the YTD rankings between himself and ATP No. 5 David Ferrer. At some point, for all his sterling resume contains, "what have you done for me lately," will set in among his fanbase, (it already has amongst the press and blogosphere). The speed of doubt will accelerate if Djokovic can maintain his torrid pace into 2012. Not that Mirka or Paul Anacone have asked, but my 2012 game plan for Herr Federer would include playing a few star starved 250s and 500s (say Estoril, DC, Vienna for example) to get a change of scenery, make some appearance fee bank, stash away (comparatively) easy ranking points and get the feel of winning back on his racquet. If he's serious about staying near the top of the game, he will need to play more of his 2012 season, like he did the fall of 2010; looking for wins in some far flung places. 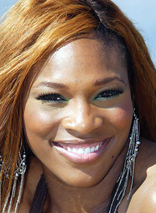 I watched the WTA Championships, without Serena Williams; I watched the US Open with her. I'm still not convinced that anyone can best Serena on a regular basis...other than Serena, that is. That said, playing a limited schedule, even Serena will be prone to occasional WTF type matches. She shut it down after the US Open and if she spends half of her downtime getting her game in gear for Australia, have mercy on the field. If she doesn't, well, she'll just have to play her way into her sixth Aussie crown I guess. The saying is that a rising tide lifts all boats. Well, the SS Janko Tipsarevic is certainly cresting on the wave of his countryman Novak Djokovic's success. After years of being a talented journeyman and a character, what with his sunglasses and Dostoyevsky tattoo, Tipsarevic has suddenly stepped up his own game and emerged as a top tier tennis player himself. The 5'11" Serb had never won an ATP title before this year. Inspired presumably by the success of his younger countryman Djokovic, this year, he's reached five finals (three in October) and won two titles including the Moscow crown over that other Serb in the top 20, Viktor Troicki. Is Tipsarevic suddenly a major contender? Doubtful. Can he continue to make noise in 250 and 500 level events though? Bet on it. Maria, Maria...where is she really? No one seems to be able to peg just where the ceiling is for the Siberian Siren these days and that's to her credit. We all know she's a sure fire Hall of Famer based on the on-court credentials she's already amassed. We all know that she's spent much of the last three years hamstrung by a shoulder injury and its after-effects. What's interesting though is that she continues to ascend against the odds. First she got her old service motion back, then she stepped up her defensive and return game to keep her competitive when the serve would misfire. This year, she got herself back briefly to No. 2 in the world and back to a major final for the first time since 2008. The missing piece is consistency in that serve, we all know that too. The young gunnettes (Wozniacki, Kvitova, Azarenka) are currently the top three ranked players in the world, with Sharapova just behind. Maria's back in the mix at the top and seems due for a big win, Roland Garros 2012 anyone? If she were a stock, I'd call Maria Sharapova a hold. There's still a solid chance for her to pay dividends in the next year while the young gunnettes consolidate their power...remember, those three only have one major to Maria's three. In most eras, he'd be the leading light of the Spanish Armada. Thanks to this guy called Rafa Nadal, he's a quietly impressive second banana. Taking a look at what he's done this year, the adjective quietly impressive certainly fits. Ferrer's 2011 campaign has included six finals appearances to date (including the Monte Carlo and Shanghai Masters), with two titles (Auckland, Acapulco) and he will cap his year playing (presumably) No. 2 singles in the Davis Cup final versus Argentina. In the meantime, the World No. 5 will play Valencia, the Paris Masters and the ATP WTF with an legitimate, if largely mathematical, outside chance of supplanting Roger Federer at No. 4 in the world. For a guy who gets next to no blog or press love, let's state the facts, the indefatigable Ferrer has been consistently, quietly, impressive. Juan Martin del Potro - His year hasn't quite gone to plan, but look for the towering Argentine to be in the ascendancy again as his country preps to take on Nadal, Ferrer and the Armada in the Davis Cup final this year. He still has a solid shot of finishing 2011 in the top 10 (he's 11th in the YTD rankings), an extraordinary effort after his lost 2009. Sam Querrey - The former top 20-ranked American is on the comeback trail from an injury that had him sidelined him since June. Having just scored a win over World No. 7 Jo-Wilfried Tsonga, the 24 year old seems to sense it's put up or shut up time for him, we're inclined to agree. 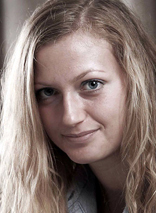 Lucie Safarova - The longtime top Czech woman has been left in the dust by the surging Kvitova. Will she find inspiration a la Tipsarevic and make a statement in the Fed Cup final versus Russia? If so, next year, this talented lefty could find her way up the rankings herself. Alex Bogomolov, Jr. - Another player making a late career surge, the 28 year old Russian-born American has rocketed to a career high No. 33 in the rankings having been ranked 167th going into Aussie Open qualifying in January. If he keeps that up, he can play Davis Cup for whomever he wants next year. Vera Zvonareva - The ex World No. 2 has backslid, finishing 2011 just 7th in the world after going 1-3 at the WTA YEC. However, she's leading Russia's Fed Cup contingent in this year's final, at home in Moscow. If she can win the big team title, maybe 2012 will again see her on the rise.